Have it all here in Idaho thanks to a rapidly growing economy, affordable housing and access to the great outdoors! Thriving Chiropractic practice for sale in the Boise suburb of Meridian, Idaho (ranked the #1 place to live by USA Today). Get the best of all worlds - with easy access to tons of outdoor recreational opportunities including 5 major ski resorts in Boise, Sun Valley & the surrounding areas PLUS enjoy water sports, world-class fly fishing AND so much more - all for a fraction of the price. 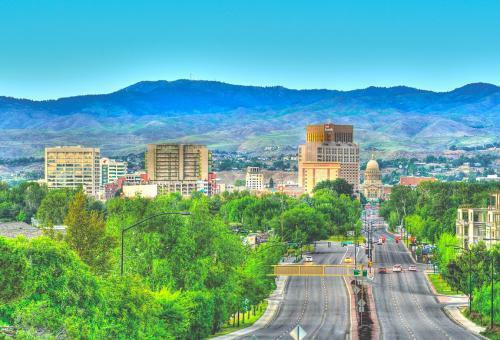 Add all of this to Boise's booming economy built with big employers like Hewlett Packard, Micron & more, you can easily see why the Boise area is one of the fastest growing spots in the country! Leave your insurances worries behind and step into 94% CASH-based wellness practice (6% PI & WC) that's thriving thanks to a balanced mix of chiropractic, nutrition, rehab, manual therapy, corrective and wellness care! As the new owner you can enjoy the freedom and income provided by a business that's collecting over $500k per year - CASH! A significant percentage of the patients are Hispanic, so Spanish-speaking skills are needed. Partial financing is possible. Don't start from scratch. This is a plug and play opportunity to get on the fast-track to your dreams and excellent income potential. For more info, see http://www.strategicdc.com/190104 or email info@strategicdc.com.